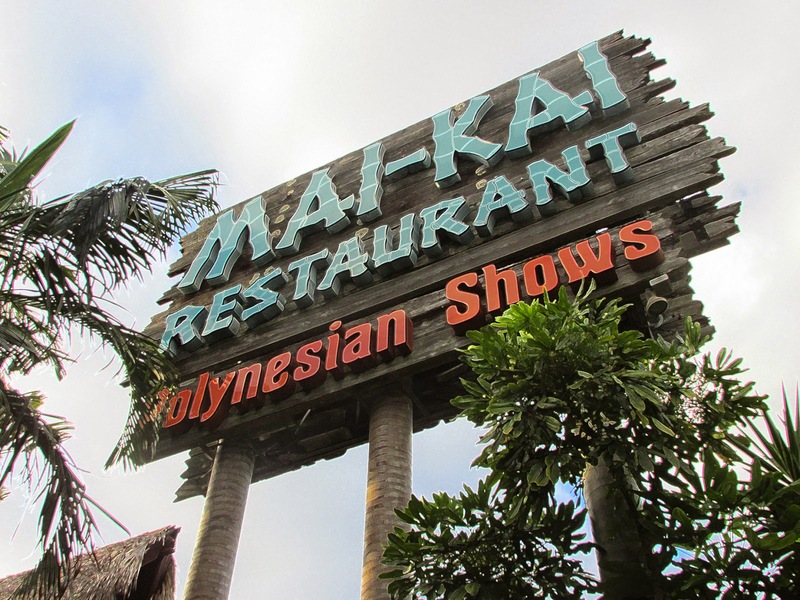 Happy 60th birthday to the Mai-Kai Polynesian restaurant of Fort Lauderdale, Florida! Even though we've traveled thousands of miles across the USA, we've never made it to Hawaii. And if we never do, we think we've found a worthy surrogate -- the Mai-Kai Polynesian Restaurant of Fort Lauderdale, Florida. 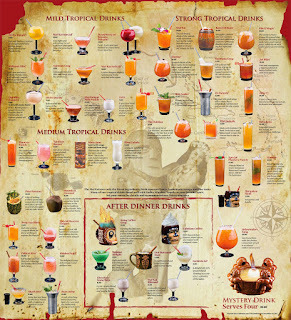 Dating back to 1956, it's been Dole-ing out (as in the pineapple) powerfully intoxicating exotic drinks from ceramic coconuts, tiki heads and rum barrels to go along with the (mostly) Chinese food and thick steaks on the menu and the South Pacific native dancers' floor show. Originally located in an empty field along a then-two lane stretch of Route 1, it's lush acreage is now surrounded by the hustle and trafficy bustle of outer Fort Lauderdale sprawl, and its old-timey oasis-like feel is quite refreshing. 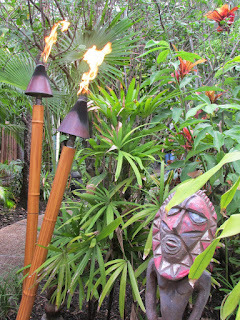 Easter Island-like sculptures mingle among the flaming torches, lush palms and waterfalls of the Mai-Kai's grounds with a thatched tiki roof on their A-frame and retro neon sign thrown in for good measure, hearkening back to the glorious post-World War II era when America was gaga for all things South Seas. 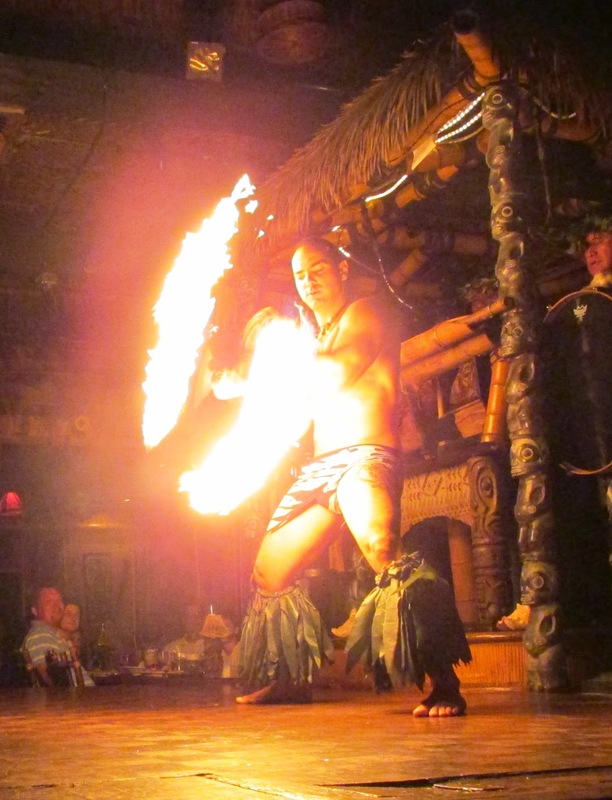 They've expanded many times over the years but the fun, 1960s retro vibe (when tiki was at its "peak-i") has not been lost. 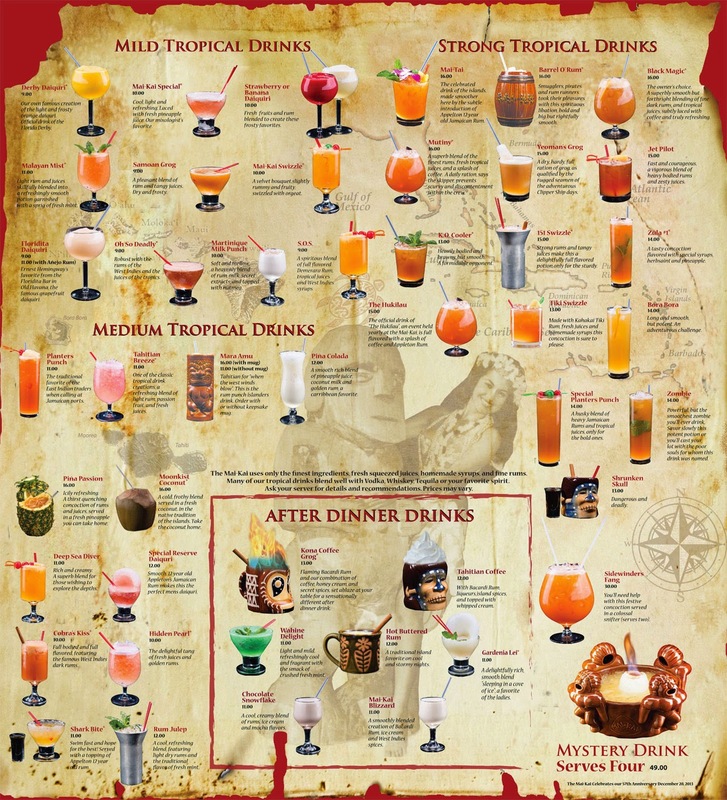 You can dine outdoors, or go for a Zombie, Mai-Tai or Sidewinder's Fang served by pretty bikini-topped, sarong-bottomed waitresses at the Molokai Lounge. 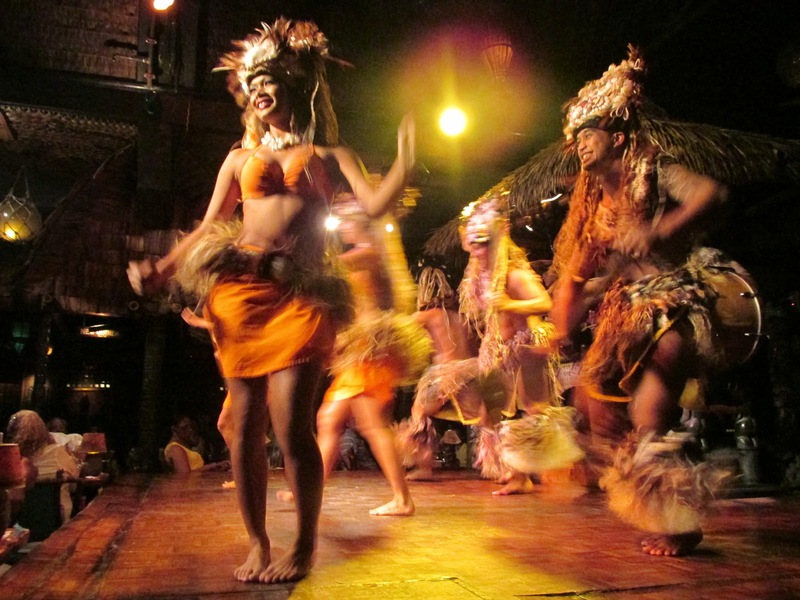 But for the full Mai-Kai experience, you must take in the Polynesian Islander Revue, the longest running Polynesian dance show in the continental U.S. Pretty girls shaking their hips in grass skirts? Got 'em. Beefy guys in warrior paint walking on fire? Got 'em. 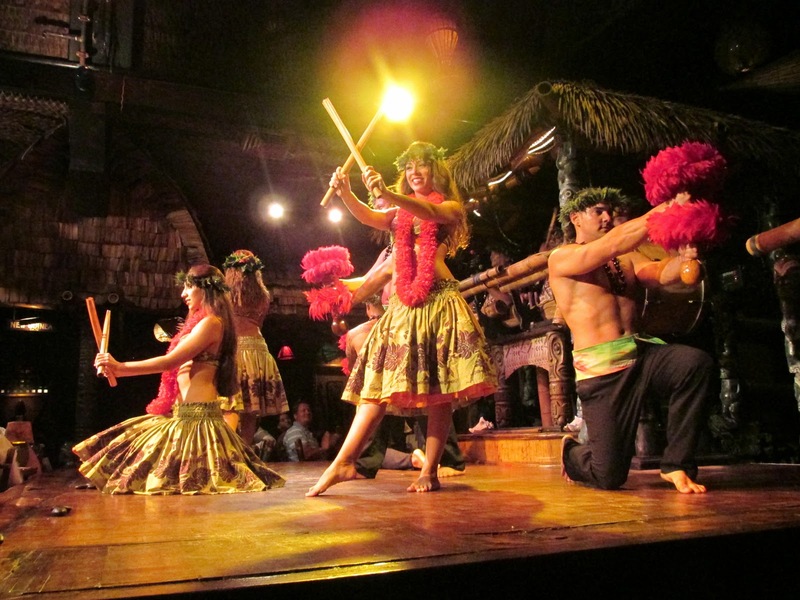 A rockin' hula band with Hawaiian drums and ukuleles? Got 'em! 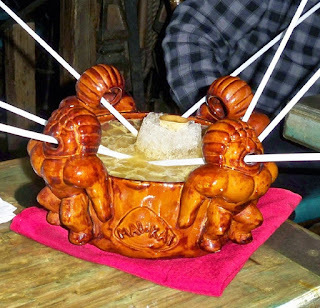 And all for only $12 a head more than your meal. For devoted fans of tiki, this place is mecca. For everyone else, we say "Be there. Aloha." And as an unrelated side-note, we haven't posted anything on this blog in over three months but we had over 27,000 page views last month. That's more than we ever got when we were posting regularly. Go figure!